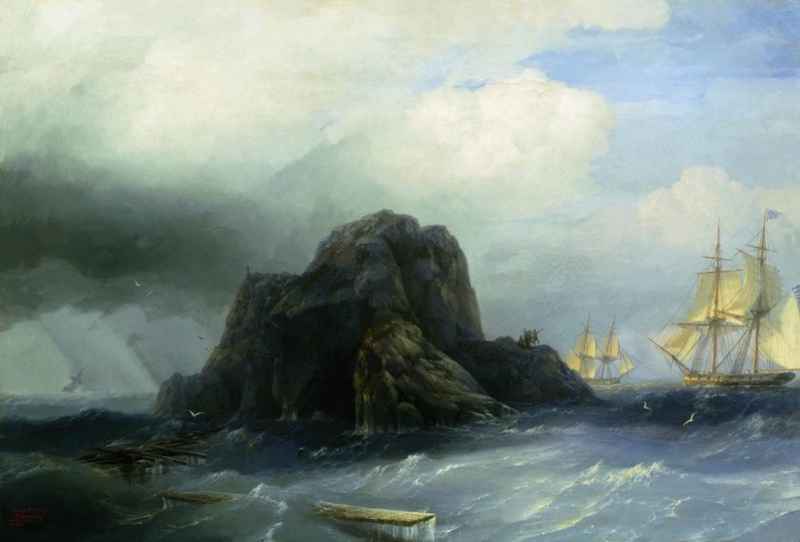 The maritime establishment — the groups that exercise power and influence over industry policy and opinion — is not only as resistant to change as the rock in Ivan Aivazovsky‘s 1885 painting ‘Rocky Island’ (pictured above). It is also often regarded as sacrosanct. As a result, any criticism of the system is likely to draw disdain and anger from those being criticised. Sometimes the reaction is one of silence, which may be a subtle form of disdain. But it is not only the establishment that a maritime commentator is up against. A more basic problem is dealing with old customs and old ways of thinking. I’m surprised, for instance, that some folks still don’t get the difference between blogging and traditional journalism. Not too long ago, a British chap commented, half in jest and half in earnest, that Marine Café Blog was a “purveyor of opinions”. You are quite right. Nobody wants to offer a new insight. Since the sinking of M.V. Stellar Daisy on 02 April, there has been no statement from the IMO or the flag state or the owners or the managers. One can expect another loss that will be buried without learning any lesson.